Here’s a quick tip from the barista crew: rinse your coffee filters with hot water before you put the grounds in and brew! Even if you’re using a good ol’ fashioned coffee maker, taking the time to rinse the filter will make a noticeable difference in your final cup of coffee. This technique has an added positive side effect of pre-heating your server or mug so that your coffee stays hot longer. Just don’t forget to dump the rinse water before you brew! Don’t think it’ll matter? Try it for yourself! Pour some hot water into a cup as a control, and then—in another cup—pour some hot water through a filter and let them cool. Take a sip of each. Record your observations and let us know if you could taste a difference in the comments. 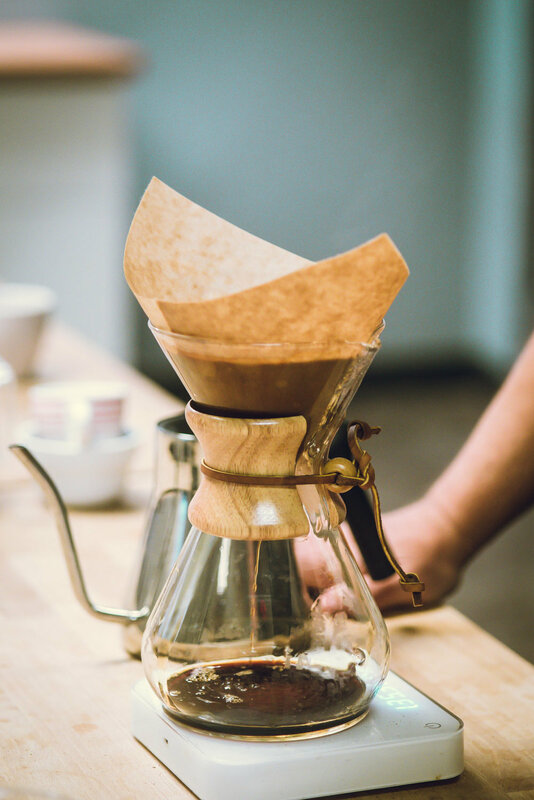 Make sure to tell us what kind of filter (coffee maker, Chemex, v60 etc.) you used. Some companies offer a bleached and unbleached version — think they’ve got a different flavor?